This cozy mountain lodge, set in spectacular surroundings will make the perfect setting for your holiday, bridal shower, family or corporate retreat. Brilliant mountain views and charming accommodations welcome you to the #1 resort in North America. If it's year round leisure fun you seek, the Lorimer Ridge Lodge is the place to enjoy it all. * Living room/lounge with 60" HD TV and cable box. All this and close proximity to Whistler Village too! If we are not booked 90 days out (30 days for weekend nights) then we can book your smaller group at a pro-rated amount based on the number of bedrooms that you require. Call 1-888-988-9002 for details. Please note for Canadians viewing this web site that rates default to US $. Along with seeking a good business opportunity, I felt that it was the right time to invest in real estate that would not only provide a return, but would also allow itself to be a spectacular setting for family and friends to also enjoy themselves in Whistler, BC - one of the most beautiful locations on earth! The location is less than two blocks from the northwest corner of the main Whistler Village. This makes for a very short walk to the centre (center for our American friends) of the village or less than a 1 minute drive. Sitting on its own 1/2 of an acre parcel of land, gives the property both a very nice and spacious back yard for your outdoor spring and summer activities along with plenty of room for up to 12 vehicles to park free of charge. Your own private bedroom (and bathroom) mixed in with the nicest possible common area amenities to share with family, friends or co-workers that any home could possibly offer. My mission statement nicely describes it... Lorimer Ridge Lodge Mission Statement: Hotel like amenities with all the conveniences of home at a reasonable price. 11 Total - one in each bedroom plus one located next to the sauna/hot tub area. Rated the number 1 ski location in North America! The mountains surrounding Lorimer Ridge Lodge are truly breathtaking! Save on roaming charges and make local calls for free from our landline (please note that there is a toll restriction). Radiant floor heating throughout the home. Energy saving high capacity washing machine and clothes dryer available for guest usage 24 hours per day (and installed away from where any of your guests are sleeping). Two wood burning fireplaces (wood is provided). Huge parking lot - can handle 12 cars or more (depending on time of year (less space when snow clearing is in effect). Two living rooms and a rec room. All three with flat screens (60', 47' and 47') with HD cable tv hooked up. Another very high end sub-zero appliance - bonus makes ice too! 12 cup automatic coffee brewing machine with washable basket (no filters required). Enough place setting for up to 22 guests. Sub-zero Wolf Wall ovens, range and refridgerator will surely make any gourmet chef excited about taking over this kitchen. 2 dining areas available for guest usage. (3) Shaw HD PVR enables you to pause live tv and/or watch your favourite shows during your stay at the time of your choice on a crystal clear HD flat screen tv. Bedroom #4 also has its own tv. An assortment of board games available for guest usage. 3/4 lot manicured by local lawncare company. Available rentals and tours available in Whistler. Number 1 ranked mountain for skiing and snowboarding in North America. Three great courses within a four minute drive. Wheelchairs are able to access the main floor/entry level of the house but in order to access the other floors, stairs must be used. Dry Sauna to sooth those aching muscles after a long day of outdoor activities. Large and modern state of the art 8 person hot tub. Each of the 10 bedrooms has its own keylock and separate bathroom (much like a hotel but with some magnificent common area amenities). Staying at this place in Whistler is just fantastic. We were 10 guys on our annual ski trip to North America and for us this place was great. We all had our own room with bathroom, great dining / kitchen facilities plus sauna and outdoor Jacuzzi – what more can you need. It was also just 5-8 minutes by car to the slopes in Whistler and Blackcomb and the same to Whistler centre with shops, bars and restaurants. A fantastic place to stay that I can highly recommend. Thank you very much for taking the time to send a review Gunnar! Great for large groups, excellent location. Lorimer Ridge Lodge is great for large groups. We had a group of 15 (5 couples) and everyone had their own bedroom and bathroom. A couple of our guests opted to have two twin beds converted into a king bed (for a small additional fee) and were very happy with the arrangements. The sauna and hot tub were much appreciated after a long day on the slopes. The kitchen was well equipped with everything needed to cook a full meal. Fernando, the owner, was extremely responsive and Alice, the caretaker of the lodge, was very friendly and greeted us upon our arrival. The location of the cabin was quite close to the village. We did walk home after an early dinner in the village one day, however, it’s a bit too far to walk with ski/snowboard equipment. We took a cab whenever we had our equipment and they were always available and very reasonable. Thank you for the kind words and positive feedback. Glad to know that you enjoyed the home and it’s amenities. Alice is our temporary replacement caretaker for Andreann while she is on an extended and well deserved vacation. I will also let her know about your kind words. We had our staff Christmas party here and it was very relaxing. We had plenty of room and everyone was very satisfied with their accommodations. Hello Tabatha... thank you for your kind words and for taking the time to submit a review. Have a great Holiday season! My family w 12 grown children / spouses thoroughly enjoyed our stay at Whistler Cay Estates. We were impressed with the organization and efficiency of the property. Labeled shelving and room #s made for an easy transition. Everything worked as advertised and we had plenty of space to spread out amongst the bedrooms. The location was ideal (walking distance) to town and there was adequate parking for our 3 vehicles. We enjoyed the additional amenities like pool, badminton and sauna. We stayed in to cook a formal dinner one evening and found everything we needed for a lovely evening together. Lake Hikes, Mountain Biking, ATV Tours, Peak2Peak tours + Shopping, Dining, and Sightseeing were all easily accessible and superb adds to our stay. Southside Diner was a perfect local & casual breadkfast location. We'd highly recommend Whistler Cay to any large group. Thank you for the great review! Very happy to hear that you and your family enjoyed your stay. Just a couple of minor corrections (to ensure no confusion for any new future guests)... We do not have a pool (pretty sure that Dennis was referring to the hot tub - it is a fairly large hot tub). The name of the property is Lorimer Ridge Lodge - not sure why vrbo/homeaway does not show the name any longer but rather refers to the home as "Whister Cay Estates?" 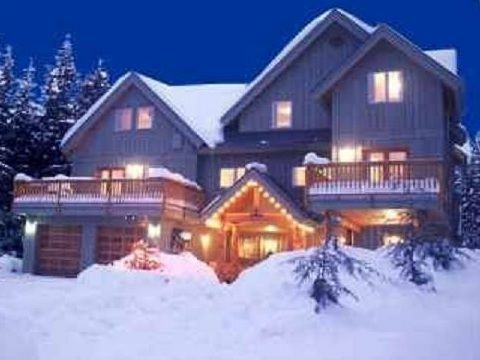 The home is located in the home Whistler Cay Heights area of Whistler. Thanks again and you and your family or other group are welcome to return at any time in the future that the need arises. This house is an amazing rental for large groups that want to stay together and enjoy the amazing activities of Whistler. My entire family was in Whistler for a wedding and we wanted to enjoy some time together after the celebrations - this house provided very comfortable individual rooms (I think every room has its own shower and toilet), great cooking/entertaining areas such as a balcony with 2 BBQ's, great jacuzzi and backyard full of games. Its also in great proximity to the village and surrounding adventures - I would HIGHLY recommend this accom! Thank you very much for the review and glad to know that you and your family had such a great experience in Whistler and at my home, Lorimer Ridge Lodge! We had a great weekend at the lorimer ridge lodge. We had a group of 24 so we maxed out the house yet we never felt crammed or that we lacked space. The care taker Adreean is nice and hospitable. My only concern is that while I understand why he takes the damage deposit up front, I have not been able to get in contact with Fernando or the care taker to make sure that everything is in order and that my deposit will be reimbursed. I’ve emailed him twice and I’ve tried to get in touch with the care taker but have had no response. Thank you and glad that you and your group enjoyed your time at Lorimer Ridge Lodge. Thank you for the positive feedback about the home and our caretaker. Sorry about the delay in posting this on-line response but this response was originally was declined by VRBO due to containing my direct e-mail address within the text. Today, I was finally able to discus this with someone at VRBO that showed me what was needed in order to post this. I replied to your inquiry about the damage deposit two days ago... Did you not receive it? I have not been informed of any issues by my caretaker and as such nothing will be levied against your damage deposit. Your booking was received through VRBO and as such I do not ever see your damage deposit (unless I make a claim on it). VRBO's policy is to send you the refund two weeks after you depart the property. To answer your question directly, there would be no reason that VRBO/Homeaway should not refund your damage deposit in full. If you have any additional questions, please feel free to get back in touch with me..
Once again, thank you very much for your business. If you come and stay with us once, you are sure to want to return again (and again)! We do offer $100 per night discounts for stays of 7 nights or more (except during Christmas/New Years time frames - please send an inquiry or contact us directly). If you are seeking to just book weeknights (Sunday-Thursday) we can reduce the minimum night stay to 2 nights if you book directly (through the owner... see contact details below). You may book directly through us and save the added fees charged by this web site. In this case, just send a message that you are seeking a booking agreement via e-mail. Property too large-only need 4-8 rooms? Call 1-888-988-1002 for pro-rated pricing (only available 90 days prior to arrival for weeknights - Sunday to Thursday and 30 days prior to arrival for weekend nights - Friday and Saturday. Please check with us, we meet/beat any similar home rate.